Now you can Eject CD / Optical drive with by using a Desktop Shortcut or by pressing a Configurable Hot Key with Turn Off Monitor Software utility. Inbuilt Eject CD / Eject Optical Drive Feature. 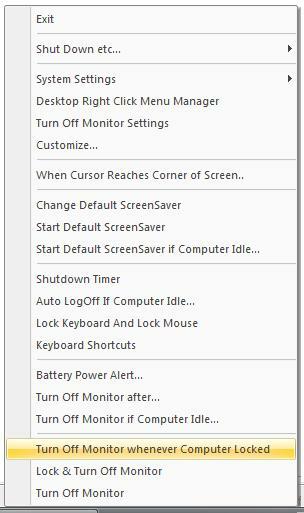 Open Turn Off Monitor Settings and click on Create Desktop Shortcut button. From the List of actions, select the action Eject Optical Drive.. In case you want a confirmation dialog box when ejecting optical drive / cd keep the check box Display Confirmation Box else uncheck it. The application will create a desktop shortcut and will name it accordingly (with or without confirmation). In case you wish to rename the desktop shortcut, right click on the desktop shortcut and select rename and then type the new name. 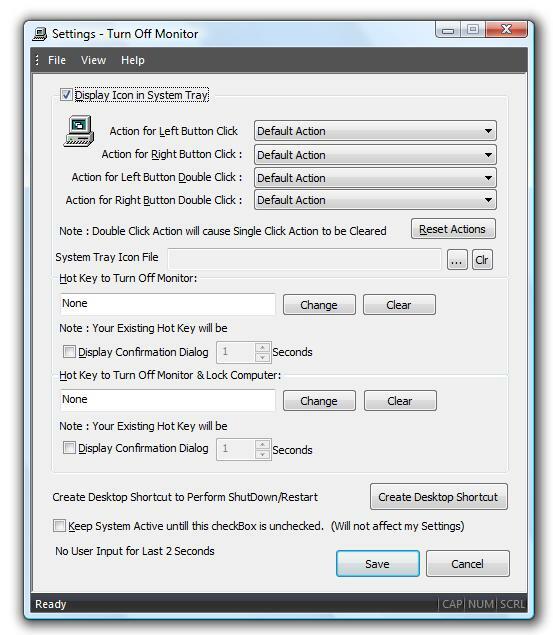 In this newly created desktop shortcut, you can define system wide keyboard shortcut key to run the action. System Wide Hot Keys for the newly created shortcut can be defined in properties of the shortcut. To Launch properties, right click on the shortcut and select properties. You can Register your copy of Turn Off Monitor Application by paying in $5.00 only. 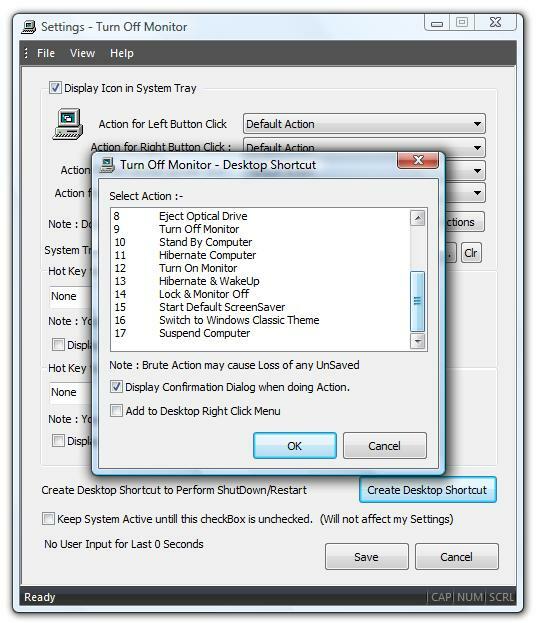 The Menu of Turn Off Monitor Settings allow you to Enter your Registration Key and Pay the Software Licence Fees. After Registration of Turn Off Monitor, an email will be sent with registration details of Turn Off Monitor and other free software utilities to your email id. You can also Register your copy of the application using Help Menu of Turn Off Monitor Settings, from the help menu, please select Register Now to open up the registration page or follow given below Desktop Shortcuts link and then click on the Register link.